The joimax® Shrill® System was developed for the resection of soft and bony tissue of the spinal region. 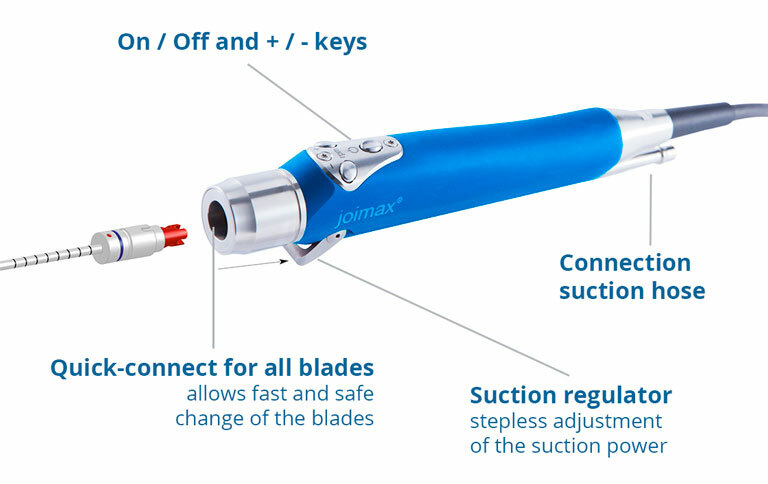 The joimax® Shrill® System consists of a console, a shaver handpiece and different sterile Shaver Blades. Safe handling with full endoscopic view ensured through the Shrill® Blades. Different Blades for optimized and safe resection and ablation work close to nerval structures. Provides a free and clear view of the operation area. joimax® offers both a foot switch as well as a hand piece with integrated On/Off button and suction control. Being able to operate the device using the hand switch makes it possible to handle all blades with much more precision than by using only the foot switch. Powerful and ergonomic handles with high speeds and torque, especially developed for spinal applications. Key activation and rotation speed regulation direct at the handpiece possible. Compatible with all joimax® Shaver Blades. 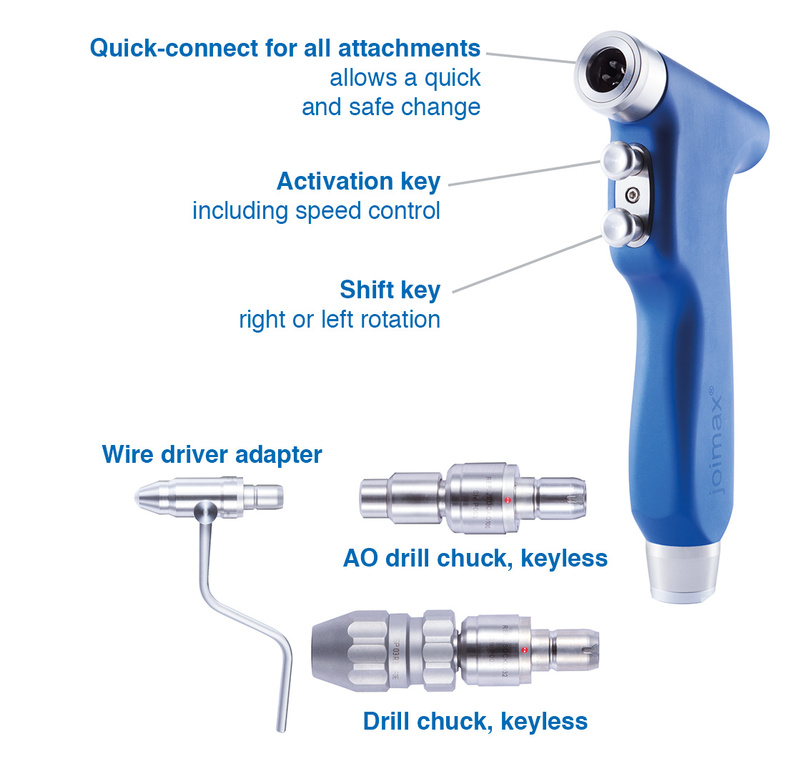 The Shaver handpiece Plus offers high speed, high torque, direct speed control and an integrated magnetic blade detection for applications with the new Deflector Shaver Blade. This handpiece is suitable for all interventions in spine, orthopedics and traumatology. Wire driver adapter and drill chucks serve as accessories.